The trend that I am discussing today was not one that I saw while in Vegas, but it is more of the casual type and probably not great for dressier nights on the town. I’m talking about the menswear inspired brogues. I feel like this may be more of a difficult look to pull off and I have yet to decide if I will be following this trend or not. I’m totally all for the menswear looks (boyfriend jeans, cardigans and converse sneakers are an ideal look for me) but these just seem very specific and I don’t know how often I would actually wear these. However, they are highly on trend and can be found in many different places. These are an option I found on Aldo. These are only $50 and are available in the black color above or also a cognac color. These are cute but I just don’t know that I personally could pull off; guess this style is just not for me. Here’s another option if you want a little zing of color. 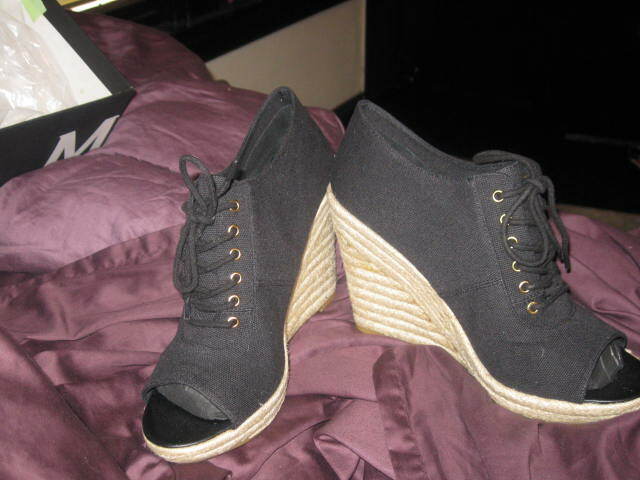 These are from DSW (a store that I could live in if they let me) and only $59.95. Again, not positive if these are for me but I am slowly moving into the accepting direction. These beauties are from Nordstroms and I do enjoy the glittery, glitzy look. I think these could be fun and the easiest of the looks for me to try and incorporate into my current wardrobe. That figures since both the gold and black lace up shoes are the ones I like most and they are both $295.00… I have expensive taste. So is this a trend that you like and/or are already wearing? Do you have any advice on how a newbie to this look can work it into her style? Let me know how you would do it. I have been woefully absent from posting on here lately; I am just awful. I feel like I have so much going on and so much to update but I will do it a little bit at a time, so that I can make up for the lack of posts with an abundance of posts to come. I have some items ready for my “What I Want Wednesday,” I went shopping today and got some too cute items that I want to share, and I am sitting down right now to watch the season 10 premier of Project Runway and I am very excited to share my feelings towards that as well. I will say that I am very excited for Project Runway! I was just recently given a sewing machine and am hoping to maybe get some inspiration from watching the show and be able to make some pieces myself as well… First I should probably learn how to even use the dang machine though! So sorry for the absence but I promise I am back and ready to go! Shoes to Make You Say Wow. I am not a princessy type of girl, never have been and probably never will be. Even growing up while spinning around in a tutu during ballet class, I was ready to put on my Converse sneakers and go play in the creek. That being said, I saw these shoes online yesterday and decided that if I could have these, I would become a princess in a heartbeat. Apparently these shoes are Christian Louboutin’s take on the glass slipper from Cinderella and, in my opinion, are absolutely gorgeous. Granted, I have absolutely no occasion in my life to wear these but I can still dream about getting a pair added to my closet, right? Have you ever had a night out when you just feel kind of blah? I had that night this past weekend. I was getting ready to go out and just started feeling like nothing I did was going to make me look as good as I wanted. I threw on an outfit, straightened my hair and did my makeup then left. It didn’t help that the girls I went out with always look gorgeous in my opinion. But what surprised me is that I was the one getting the compliments. My friend posted some pictures online of us and everyone was telling me how cute I looked. A girl stopped me in the bar to say she loved my shoes and ask where I got them. I’ve got to say, getting feedback like this really makes a girl feel good about, not only herself, but her sense of fashion as well. What’s the best fashion compliment you have received?? I’m the one in the coral shorts. 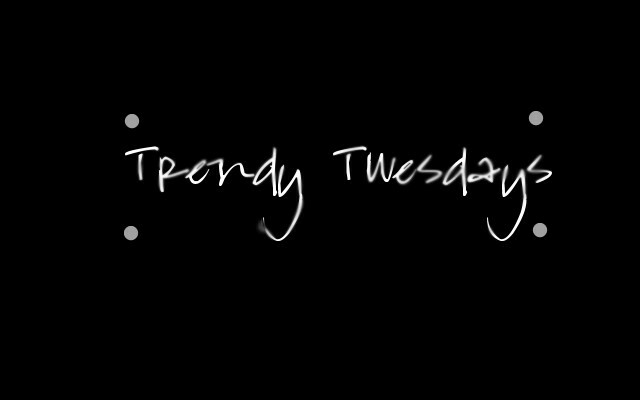 It’s the time again… Time to decide what it is that I am wanting to add to my wardrobe for What I Want Wednesday. I don’t have a very extensive list today. Only a couple items that I want to add for summer. Second I am looking for a pair of sandals. I have plenty of flip flops and even some dressy high heel sandals. But I don’t have any dressed up flat sandals, so that is next on my list. And those are really the only items I am looking for this week. Pretty easy list. Anyone have any items they want this week? Feel free to comment below with what you want! !